Happy Sunday :) I hope your weekend was relaxing/fun/exciting/however you prefer your weekends! 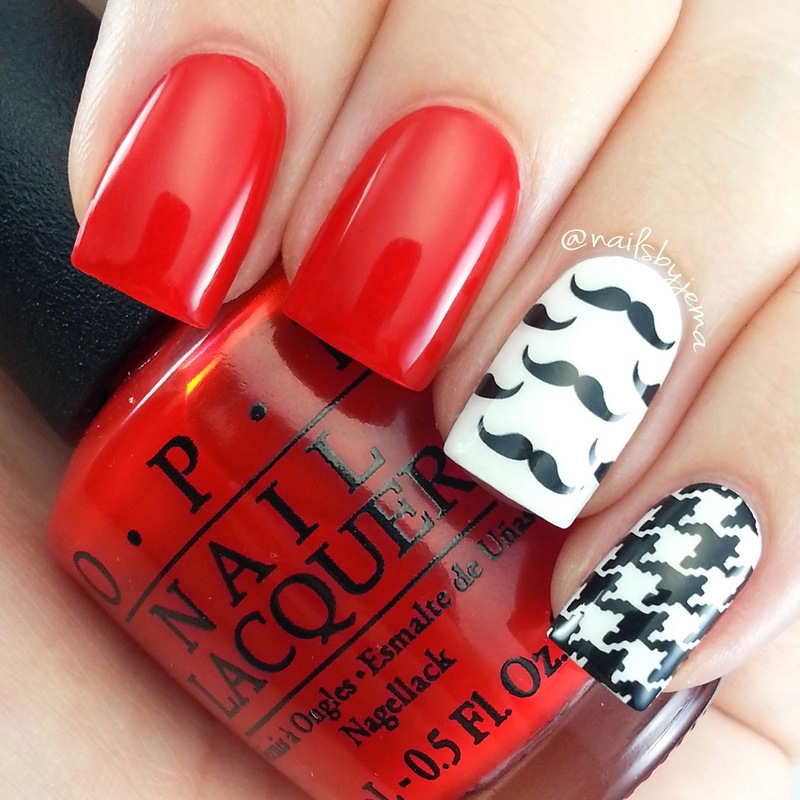 I changed up my Moustache/Movember nails again! And this time I added some houndstooth. 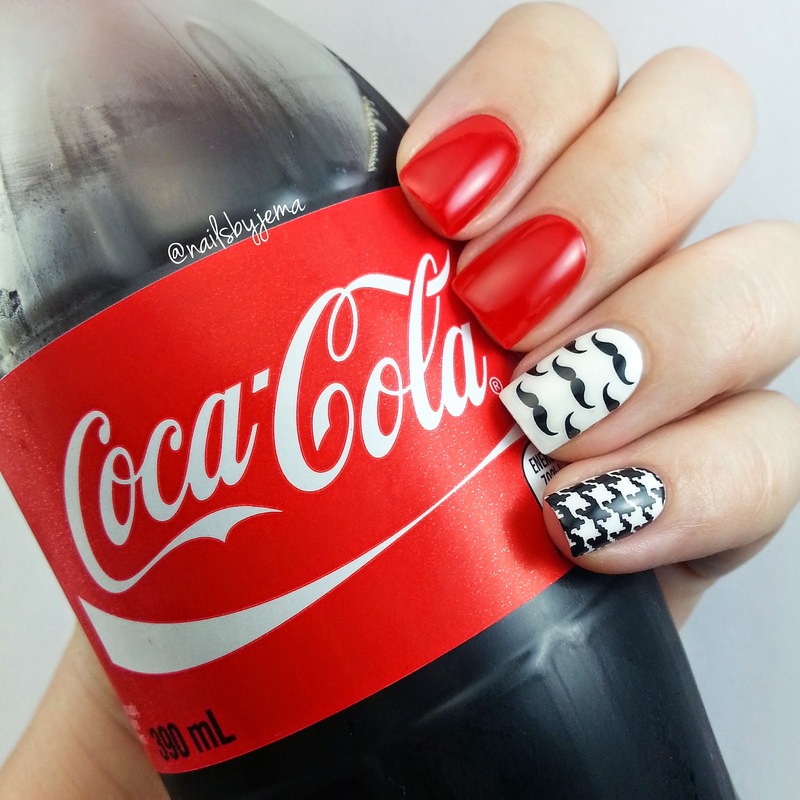 Polishes used: OPI 'Alpine Snow' & 'Fashion A Bow', Konad black on MoYou London's Pro 04 plate & moustache decals from Born Pretty Store. Use the code GBJ61 to get 10% off and free shipping. Just remember, by increasing our understanding of men’s experience of depression, we can begin to tackle the rates of depression and anxiety in men by developing and providing appropriate and timely services and/or activities. By reducing stigma, facilitating a change in men’s help seeking behaviour, and challenging traditional perceptions of masculinity, it is believed that a reduction in the male suicide rate can be achieved in the medium to long term.